Honda Australia has commissioned a collection of gold-wrapped machines to celebrate their 50th. Honda established its official presence in Australia in February of 1969, when the Honda Motor Corporation sent Hidehiko Shiomi to Melbourne to found Honda Australia as a unified company. 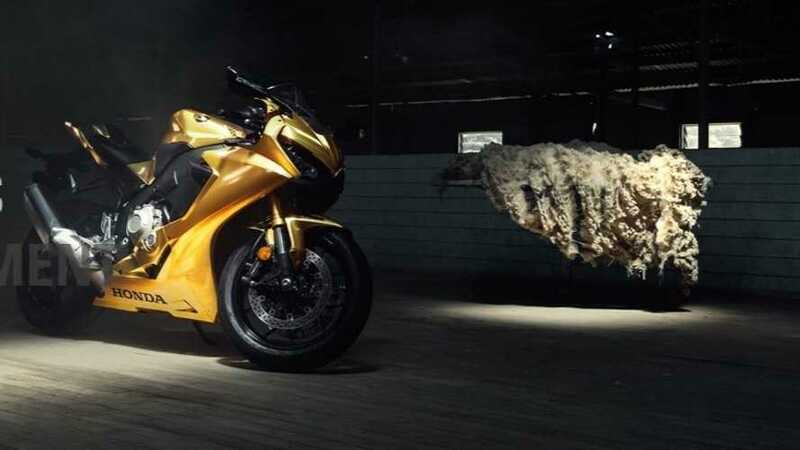 They’re celebrating their 50th year, their Golden Anniversary, if you will, with an extremely pretty gold-wrapped Fireblade (CBR1000RR in the US) among a few other Honda products. Why do other countries get way cooler names for the same bikes? Will the US ever see these fantastic monikers? Maybe! If you’ve ever thought about wrapping your own CBR1000 in gold, though, here’s an idea of how pretty it will be. Honda Australia had Vinyl Wraps and Graphics, a Melbourne company, design and produce the gold wrap, and wrap the Honda products. They laminated a gold chrome film with clear satin giving the wrap a deep metallic semi-matte finish. 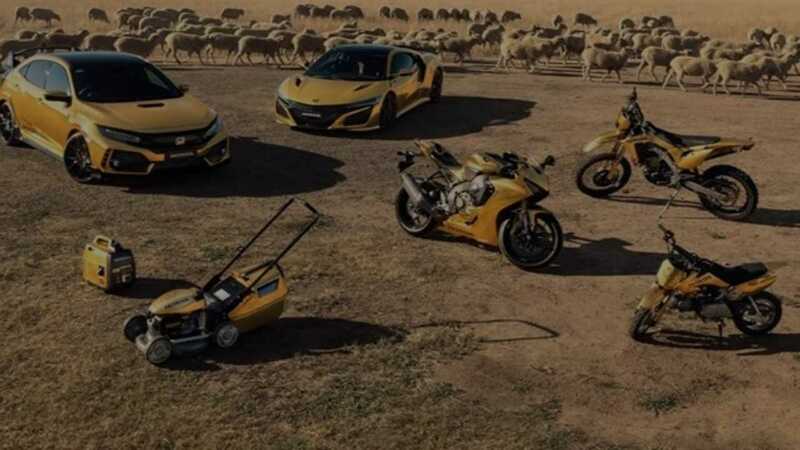 The wrapped products include the aforementioned Fireblade, an NSX, a Civic Type R, a CRF50F, a CRF450L, an HRU19 Buffalo (that’s a lawnmower), and the Honda EU22i Generator. Sadly, it seems that all of these products are one-offs, and they are not available for sale. Que lastima. Honda Australia has further missed a golden opportunity NOT showcasing a Golden Goldwing! Australian friends, take a look at the stunning results and start pricing wraps on your Honda products.